by our highly trained Installers/Glaziers. BriteGuard® Surface Sealer reacts chemically with glass and glazed ceramics to form a high strength functional layer that protects against dirt adhesion and glass corrosion. Using BriteGuard patented Surface protection we can coat almost any class surface with a 3-step process that takes anywhere from 40 min to an hour depending upon the surface. 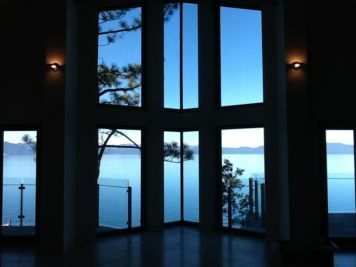 We mainly coat shower door glass, windows, and deck glass and this can be done pre-installation or to existing glass. For existing glass, prior to coating, we are able to remove water stains with a deep cleaner that penetrates the surface material, removing all excess unwanted stain, restoring the glass, metal, or porcelain back to the original quality.